Marvel’s Agents of S.H.I.E.L.D. 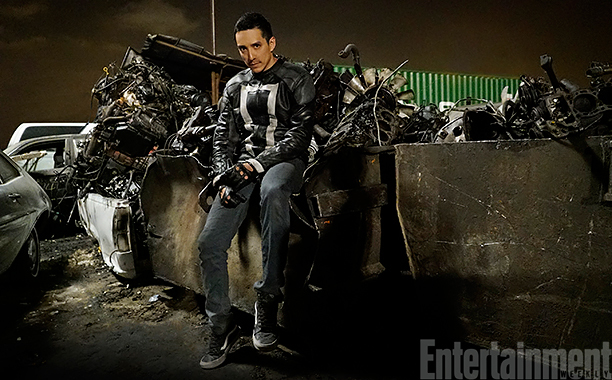 is adding the Robbie Reyes version of Ghost Rider in season four and now comes the first image of Gabriel Luna as the Spirit of Vengeance. Producers have pointed to the character's short history as an attractive alternative to the longer canon of Jonny Blaze's Ghost Rider. They can mold and shape Reyes as they wish without contradicting decades of comic book history. 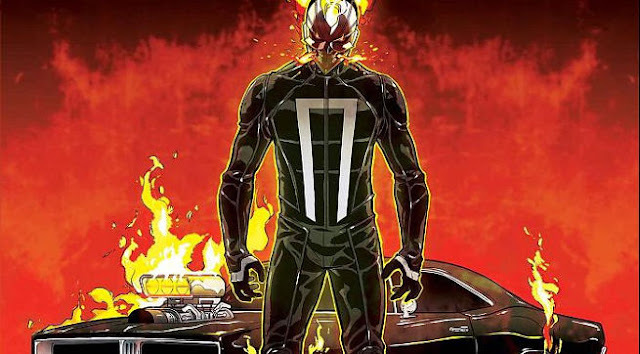 All-New Ghost Rider by Felipe Smith and Tradd Moore introduced Reyes in 2014 as a young East L.A. street racer who takes care of his younger brother and through an accident is possessed by the spirit of vengeance. It was canceled after only twelve issues. Agents already altered Reyes by making him older than in the comics. "Because there is so little material on him right now, a lot of the show is going to be expanding the Ghost Rider canon," Luna said. "That’s really cool. It’s all me. It’s all on me." Luna joins one of the most racially diverse comic book shows on television, especially involving Latinos. The show already features Colombian-born actor Juan Pablo Raba as Joey Gutierrez and Mexican actress Natalia Cordova-Buckley as Elena "Yo-Yo" Rodriguez. The two play Inhumans that have emerged as valuable members of S.H.I.E.L.D. Edward James Olmos, Maximiliano Hernández, and Alicia Vela-Bailey have guest starred previously. Luna's arrival as Reyes comes at a time when viewership demos coincide with the population growth of American Latinos in the U.S. The increase of Latinos in the U.S. has resulted in them consuming more media, having more buying power, but having less representation in the medium they consume the most - television. The tide seems to be changing, in small steps, with the success of CW's 'Jane the Virgin,' USA Network's 'Queen of the South,' and Netflix's 'The Get Down,' and 'Narcos.' Agents has taken a more inclusive approach of adding more Asians, African-Americans, and Latinos than most primetime shows. Luna is the latest example but playing a surprising character like Ghost Rider in an ensemble team dynamic could prove to be challenging. Will he get enough screen time? Could it lead to a spin-off series of his own? When and how many episodes will include Reyes? Although the first episode is entitled "The Ghost" might be a good indication we'll meet him sooner than later. Marvel’s Agents of S.H.I.E.L.D. returns Tuesday, Sept. 20 at 10 p.m. ET on ABC.